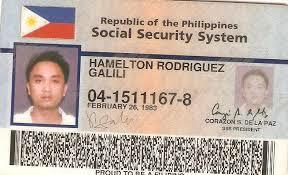 The old SSS ID is already phased out. Welcome to the new identification card of the Social Security System of the Philippines - UMID or unified multi-purpose ID. Here, you can literally use the said card securely with any of the listed government agencies like GSIS, Pag-Ibig Fund (HDMF) (Home Development Mutual Fund) and Philippine Health Insurance (PhilHealth) which you can find lined up at the back of the new card. In a report from the official ABS-CBN website last January 14, 2014, it was clearly stated that the processing time of SSS ID application has been cut down by the Social Security System to only 10 days from the starting day of the processing to the release of the ID card. Basically, UMID means Unified Multi-Purpose ID. 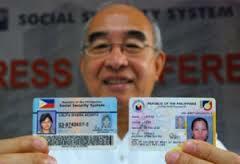 To further justify the slow turnover of the said new ID by the SSS, allow me to inform you through comparison that it's production, compared to postal ID, voter's ID, PhilHealth ID, old Pag-Ibig ID and the rest, the actual making process involves much more than your ordinary printing which include a member's photo and personal details to be embedded on a plastic card. This new ID system uses biometric technology to confirm a person's identity and sensitivity with respect to security is a major component. It also needs to come up with measures along the process that will prevent issuance of multiple UMID cards that can be used to cheat the SSS system that scammers could use to reap off SSS of undeserved benefits and services. ATM card and certification from the issuing bank that the account number belongs to the cardholder, if the card does not bear the cardholder’s name. This system is something new and useful to all members of the SSS. I would like to inform all of you that there is a new (not so new) system of application which allows members with online username and password login details to use them to reserve for an online appointment system. Step 2: After you have successfully logged in, on the page that will appear, just find and click on "online appointment system" link. Step 3: Next step is to choose from the page that will appear with a calendar, the exact date of appointment you want to set up and branch to process your request. Step 4: Fill up all needed information and details in the next page for the appointment. Then click on "submit"
Step 5: After receiving an email confirmation detailing your schedule, and branch to report to, be sure to save a printable copy or print a copy outright. Step 6: Be sure to list down what you need to bring at the Public Assistance Desk before reporting to the branch on your scheduled date and time. Step 7: Don't forget to bring the copy printout of your scheduled appointment. Bring 2 primary valid IDs and a photocopy of the 2 IDs in one page including the E-6 (SSS ID application form).